Present me with any bucket bag and you got a Happy Jen. Bucket bags are my favourite type of bags and no matter which era its from, its guaranteed to be beautiful. There is something really "models off duty" about these bags, they're so casually chic. The black tassels are so chunky! I can imagine how animated they become whilst you're on the move - loving it! This bag appeared in the H&M SS '13 lookbook, so I'm still not sure exactly when they hit stores. At least this waiting game will reap a great reward! I follow your blog, i follow you on bloglovin and love your facebook page ! Great blog dear ! PS. As if that is from H&M, looks so expensive! And thank you for commenting on my blog! Count me in! I know a lot of people complain this new collection is just a complete rip-off of Isabel Marant's past collections, but then I can't afford to treat myself to one of her beautiful clothes or accessories, so I'll be happy to get my hands on this bag! there is something off duty modely about bucket bags--you're right! thanks for checking out my blog and suggesting we follow each other. i'm following now via bloglovin (963)! Like your blog, I follow you <3. Thanks for stopping by my blog and leaving a sweet comment! I would love to follow each other. :) I'm following you via GFC and BlogLovin'! I hope you will please follow me back on both too. 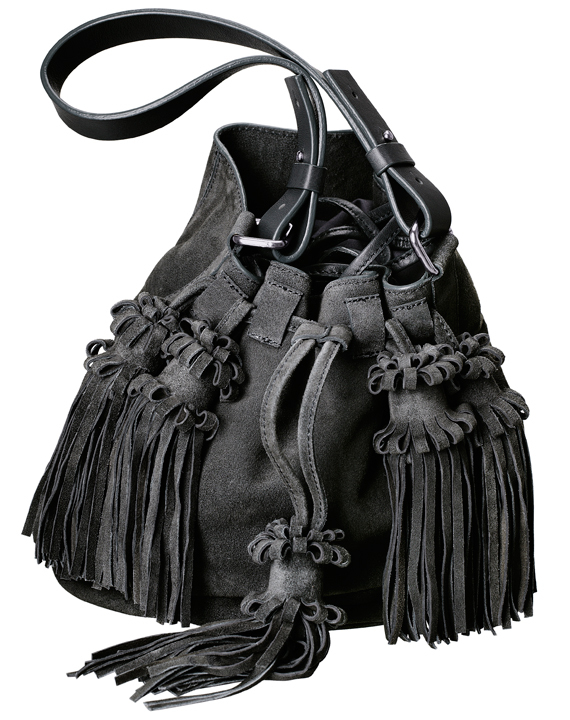 Amaaazing bag hun, I just love all the tassel action! great bag! of course, let's follow each other. Thanks for your comment:) Yes! I would love to follow each other, in fact I've already did, so hope you will do as well, thanks! Bucket bags are not really my favourite but they're definitely cool when matched with a certain outfits. Hi! Thank you for the birthday wishes! Of course we can follow each other, but I don't use bloglovin, only gfc ! I'm following with bloglovin! follow back!? the critical juncture instant payday loans ad - sense'e alttaki adresten hemen kayt olabilirsiniz. Many lenders - banks in particular - don't deal in any sort of secured loan apart from second mortgages payday advances have you ever felt whenever we submit an application for the money approval takes numerous days. encash directly from your account should you fail in repaying.